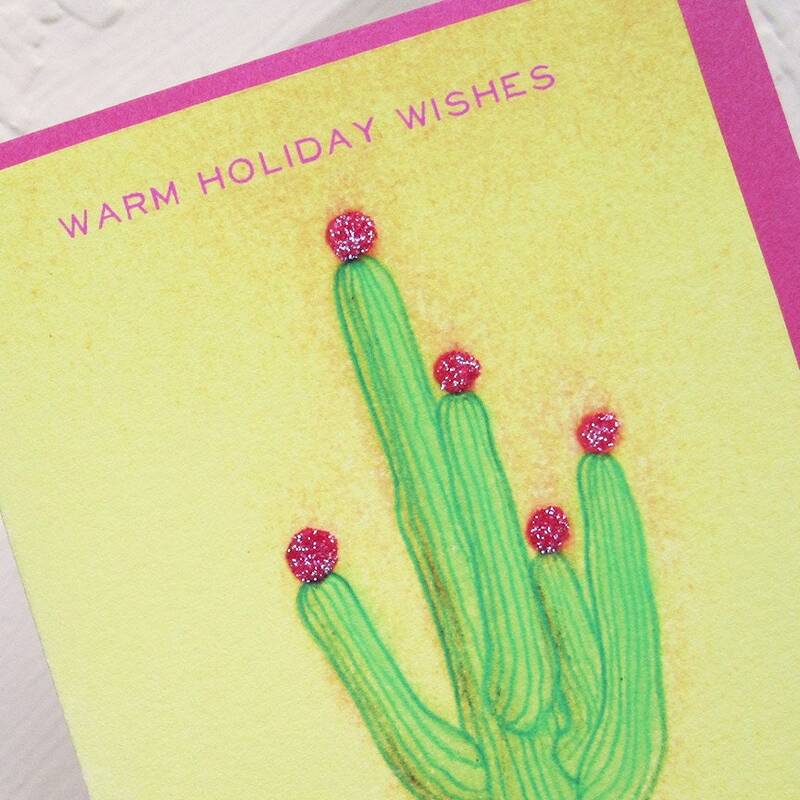 This burst of color will brighten your holiday messages, what says happy holidays better than a warm glittery cactus?! 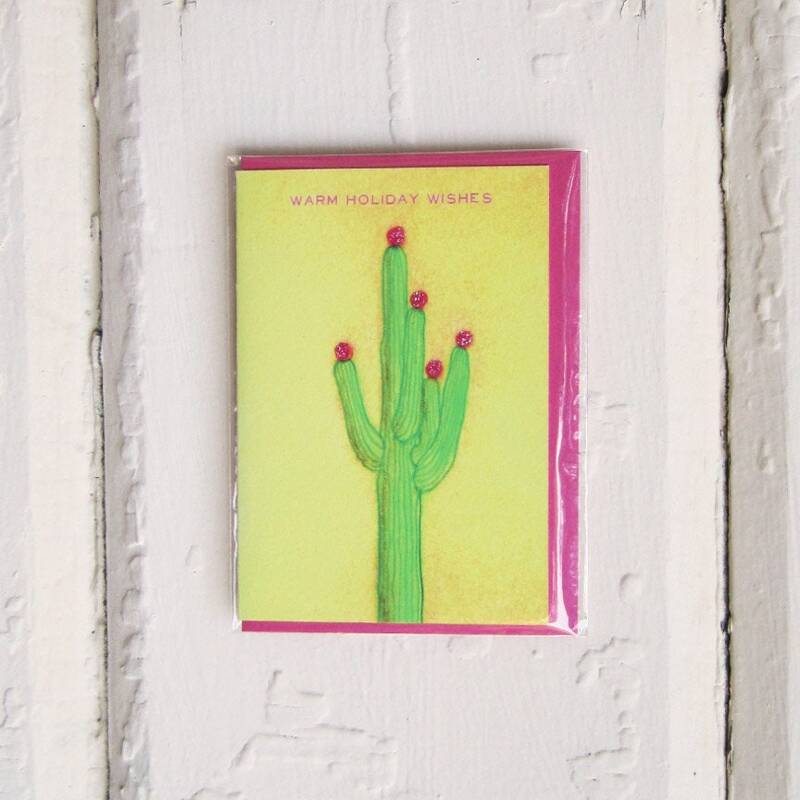 Cards are on the smaller side: they fit into envelopes measuring 3.75 inches wide by 5 inches tall. Envelopes will be hot pink or lime green, depending on availability.